German Bundesliga club RB Leipzig are looking for a replacement for Timo Werner, who is being linked with a summer move to champions Bayern Munich. If the wish of the club's hierarchy is fulfilled, Chelsea-owned striker Tammy Abraham is the top candidate to replace the Germany international, according to Football Insider. Leipzig would be prepared to spend 30 million pounds on the attacker and representatives of the clubs have traveled to England to run the rule over Abraham in recent weeks ahead of a bid. The 21-year-old is spending the entirety of this season on loan at Aston Villa, for whom he has scored 23 goals in 34 appearances in the EFL Championship. Chelsea could agree to a sale depending on whether the two-window transfer ban imposed by FIFA is lifted or suspended. 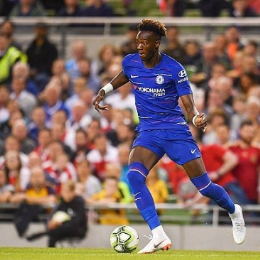 Abraham is contracted to Chelsea until the summer of 2022 and has made three competitive appearances for the first team.